Let’s try some basic example: in our new business scenario we’d like to check if user is authorized to perform an operation by checking Authorization object Z_EXAMPLE where value of its field ACTIVE must be set to ‘X’ (abap_true). Authorization successful or no check was carried out. 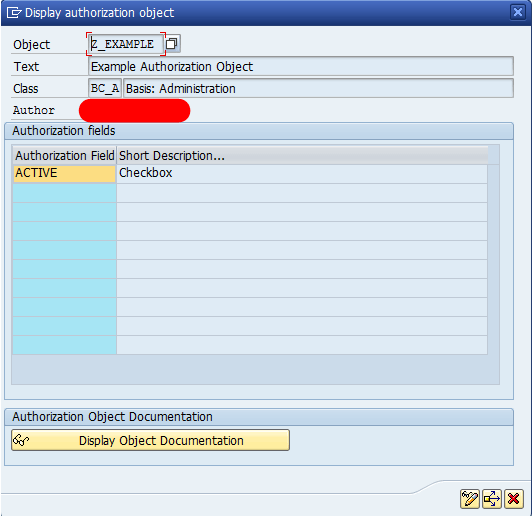 An authorization for the authorization object was found in the user master record. Its value sets include the specified values. 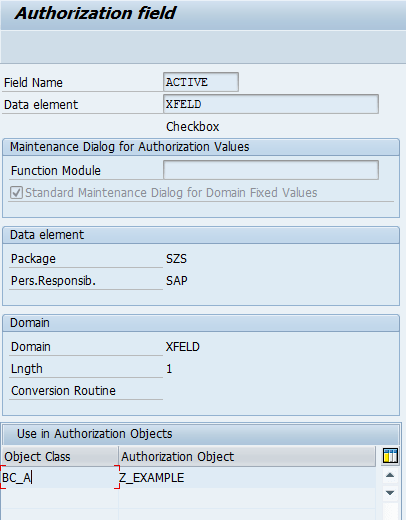 One or more authorizations were found for the authorization object in the user master record and they include the value sets, but not the values specified, or incorrect authorization fields or too many fields were specified. No authorization was found for the authorization object in the user master record. This return code is no longer set. An invalid user ID was specified in user. The question now is how to assign the authorization to user? We don’t want to use a role template so we press cancel on Template selection screen and the main screen called Change Role: Authorizations is displayed. Antoher business screnario might be restricting user access to usage of TCode SM30 or SE16 or your own created Z/Y TCode just for limited list of tables. Such list of tables is given by assignment of the required tables to an Authorization group. 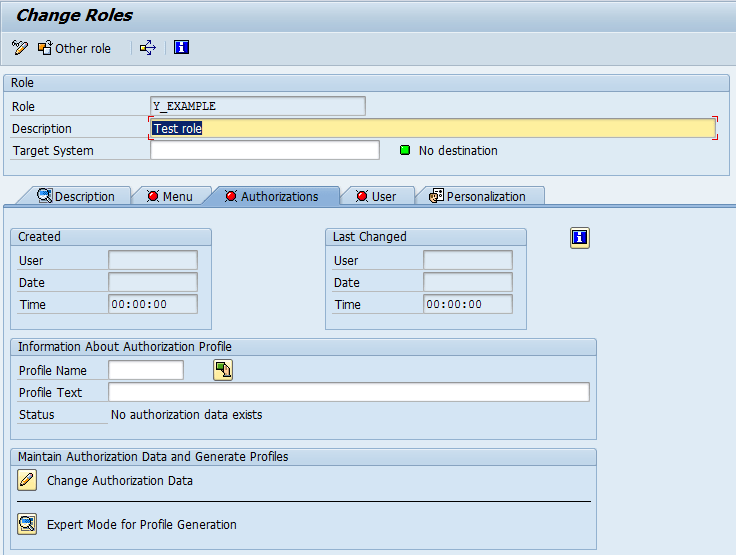 This entry was posted in ABAP, Customizing, Development, Infrastructure, Tools and tagged authorizations, PFCG, profiles, roles, SAP by Spider. Bookmark the permalink.